​FRENCH BEE IS A FRENCH LOW-COST, LONG-HAUL AIRLINE HEADQUARTERED IN PARIS AND BASED AT PARIS ORLY AIRPORT. IT OPERATES A SCHEDULED NETWORK BETWEEN FRANCE AND WORLDWIDE LEISURE DESTINATIONS. offering Non-stop flight service: SFo-Paris/orly and sfo-papeete. Sublime Skinz is a leading solution for High-Impact non-intrusive digital advertising. With 3,800 websites, 500+ clients globally (Toyota, Samsung, Netflix, Disney, McDonald's, GM...), and a team of 150 based in Paris, London, San Francisco, NYC, Singapore and Sydney. Retired - President and Managing Director at Sofinova Ventures Inc.
​Mini-Chic is a SECONDE-HAND clothing company specializing in European APPAREL FOR KIDS. By offering today’s finest European brands at AFFORDABLE PRICES, our goal at Mini-Chic is to make life easy for parents and stylish for kids. 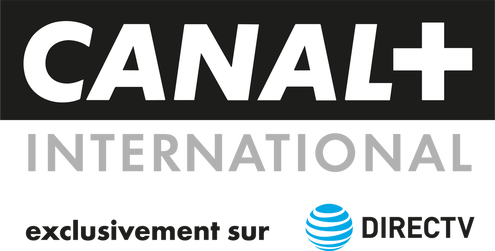 CANAL+ Group, France’s leading pay-TV and media company, has launched the top French Networks – Canal+ International, CNEWS, and Studiocanal – in the U.S. for the first time exclusively on DIRECTV. Canal+ has something for everyone in the family – from award-winning movies, original series, children’s and variety shows to sports, news and current affairs 24/7. WE ARE STORYTELLERS. A "motion" picture is worth a thousand words. Madnomad Films is a Award-winning San Francisco Video Production Company. Corporate Films, Commercials, Documentary-style promotional videos, Timelapse, Interviews. ​JEANNE D’ARC IS AN ELEGANT FRENCH RESTAURANT LOCATED NEAR NOB HILL AND UNION SQUARE. THIS HIDDEN GEM IS LOCATED ON THE LOWER FLOOR OF THE CORNELL HOTEL DE FRANCE. REPLETE WITH TAPESTRIES, STAINED GLASS AND ARTIFACTS, THE DECOR CELEBRATES THE LIFE AND DEEDS OF FRANCE’S LEGENDARY HEROINE, JOAN OF ARC. FOUNDED BY THE LAMBERT FAMILY IN 1972, THE RESTAURANT IS THE FAVORITE OF LOCALS AND VISITORS. JEANNE D’ARC OFFERS A PRIX FIXE MENU (FOUR COURSES) OF AUTHENTIC FRENCH CUISINE AND A SELECTION OF WELL-CHOSEN FRENCH AND CALIFORNIA WINES. ​Perfect knowledge of French and American tax systems. Both partners have received certification in France and the US for their knowledge of the two countries tax systems. Jade Associates offer an array of personalized services for French speaking individuals and companies of all sizes looking to move into the US or already operating in the country. Kronenbourg 1664 is France’s number one selling beer. Founded in 1664, it is one of the oldest breweries still in existence. Master brewers began using the Strisselspalt hop, exclusive to Alsace, in 1885. Since 1959, its success has expanded to foreign markets and today, it is sold in more than 60 countries. 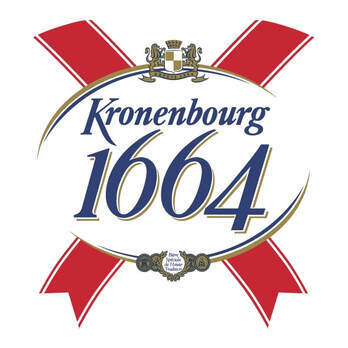 Kronenbourg 1664 is Malty and fruity with a fresh flowery flavor complemented by aromatic hops, slightly bittersweet with a distinct citrus hop taste, made with Strisselspalt hops, “the Caviar of Hops”. ​La mission de la Société "LES FANEURS" est de maintenir une entente fraternelle entre ses membres, des relations sociales, des améliorations et développements intellectuels, de leur procurer des secours et bénéfices pécuniaires en cas de maladie, d'infortune et de mort, et d'encourager, seconder et maintenir des œuvres charitables, morales ou intellectuelles. ​La Société française de secours mutuel « La Gauloise » fut fondée en 1889 comme société musicale et elle donna Son premier spectacle pour Bastille Day 1889. Elle se transforma, en 1891, en Société de secours mutuel, dont le but est la bienfaisance mutuelle et l’entraide entre ses membres. 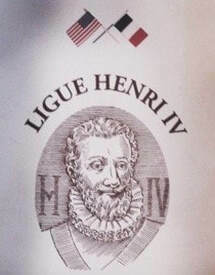 "The Ligue Henri IV is a non-profit 501(c) fraternal organization based in San Francisco which was founded by French immigrants in 1895.". The original members were from the South West region of France known as the Béarn in the Pyrénées. The organizers formed the society for the mutual aid, benefit and protection of their compatriots from the South-West of France, which constituted the majority of the French colony of San Francisco at that time. As an organization, the Independent Order of Odd Fellows aims to provide a framework that promotes personal and social development. Lodge degrees and activities aim to improve and elevate every person to a higher, nobler plane; to extend sympathy and aid to those in need, making their burdens lighter, relieving the darkness of despair; to war against vice in every form, and to be a great moral power and influence for the good of humanity. 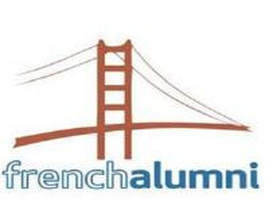 The French Alumni Association (FAA) aims to foster the French community in the Bay Area and enhance networking among San Francisco Bay residents who have studied in France. Founded in 2012, the FAA organizes monthly events. With over 1,500 members, the FAA events welcome French alumni from all French Grandes Ecoles and Universités.